Hagit Yakira dance connects people through subtle and striking dance. With emotion at its core and a sophisticated movement style, the work resonates intimately with audiences. In 2007 Hagit left her performing and teaching career to start a dance company dedicated to open, relevant and relatable work informed by her background in Dance Movement Therapy. Hagit leads her company with infectious energy, enthusiasm and a genuine interest in her collaborators’ own artistic voices and stories. The company today is a collective of artists, collaborators, professional and non-professional dancers simply sharing her vision and an appreciation for dance as a down-to-earth medium for expression and connection. 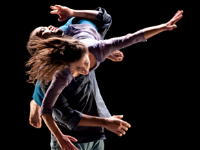 Hagit Yakira dance continues to create work that is emotionally intelligent whilst remaining accessible to all.